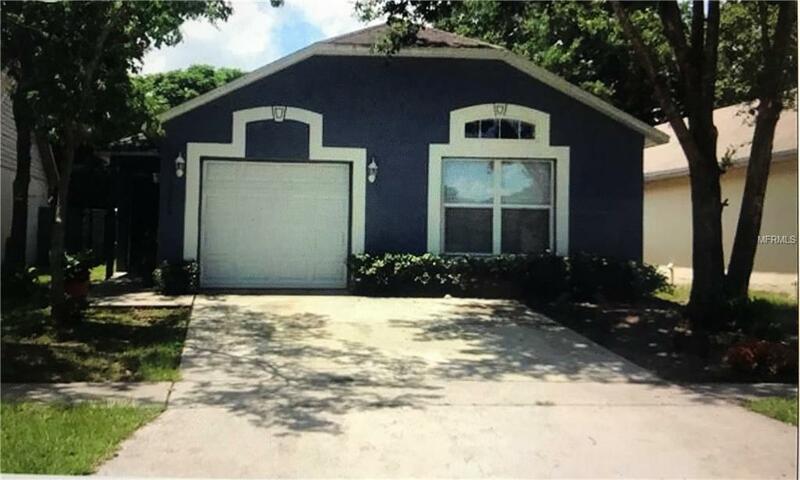 This is a 3 bedroom 2 bath GORGEOUS home in East ORLANDO! As you arrive in front of the property you'll LOVE the BEAUTIFUL ARCHITECTURAL STYLE, & ATTACHED ONE CAR GARAGE! Once inside the home you'll immediately notice the GORGEOUS LAMINATE LINOLEUM FLOORING which makes this home look SHARP! The HUGE living room & dining room are EXTREMELY SPACIOUS being the PERFECT spot for you and your family to relax! The GRAND KITCHEN features GORGEOUS CABINETRY, SOLID SURFACE COUNTERS, & A PANTRY! The SLIDING GLASS DOOR takes you out directly to your LOVELY NEW FENCED IN BACKYARD & PATIO INSTALLED AUGUST 2018! The Master Suite is HUGE! The Master Suite bath features a BEAUTIFUL SHOWER/TUB DUO & PLENTY OF COUNTER SPACE! The 2 guest bedrooms feature TONS OF CLOSET SPACE for ADDITIONAL STORAGE! Don't forget about the BEAUTIFUL ARCHED DOORWAYS! NEW ROOF 2018, NEW AC UNIT 2014, FULL ALARM System, Cameras, Sensors. FANS in all areas, Garage Door Opener, Fruit Trees mango, avocado and others .This home has it all, you don't want to miss out. Multiple Offers, Please send your buyer's highest and best All information recorded in the MLS is intended to be accurate but cannot be guaranteed, buyer advised to verify.